No Waste Monday Menu: guests enjoy at least three courses of shared food, utilising fresh produce from the Millbrook garden left at the end of the busy weekend service. 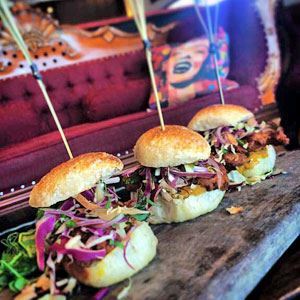 Not only is it excellent value, the menu also showcases the creative abilities of Millbrook's expert Chefs, often working with an eclectic list of ingredients. 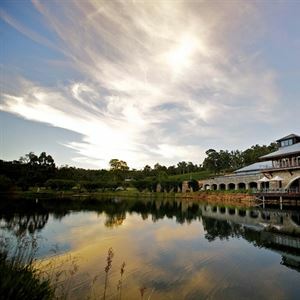 Located a comfortable one hour drive from Perth along Old Chestnut Lane, is the picturesque Millbrook Winery Restaurant, perched regally above the resident lake's edge in a castle-esque stone building. Enter through arched doors into a sophisticated dining space, with polished timber floors, an open stacked stone fireplace, white table linens and floor to ceiling windows allowing in a flood of natural ambient light. An impressive menu is seasonally influenced by the acre-wide heirloom vegetable garden attended to by the Chefs themselves, ensuring only the freshest produce is used. Sample a delicate entrée of vegetable relish, pate and crostini; before moving onto a main of sweet and sour vegetables, today’s cut of pork and macadamia nuts, with a side glass of Pinot Noir made on site.